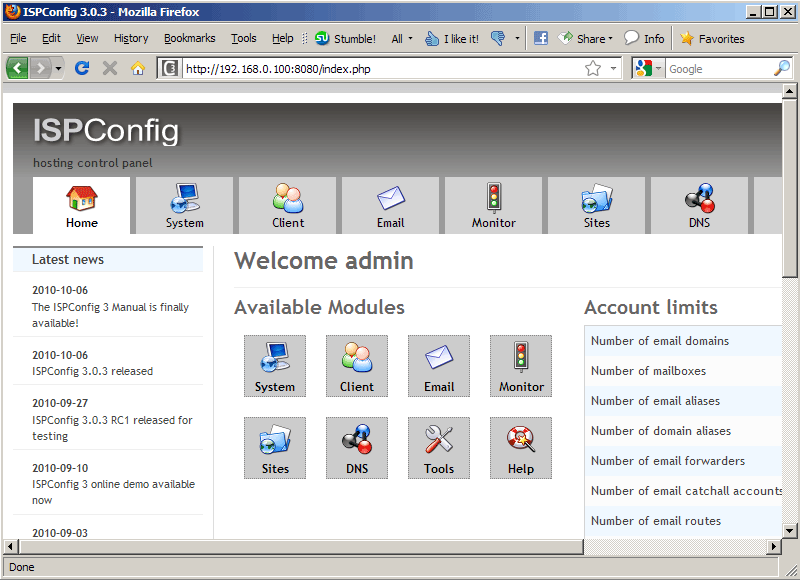 Restarting IMAP/POP3 mail server: dovecot. 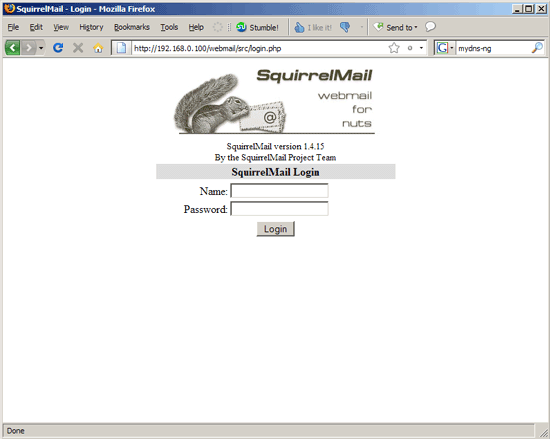 Lots of people have reported problems (such as getting 404 Not Found errors) using the SquirrelMail webmail package in their web sites created through ISPConfig 3. This guide explains how to configure SquirrelMail on a Debian Lenny server so that you can use it from within your web sites (created through ISPConfig). That's it already - /etc/apache2/conf.d/squirrelmail.conf defines an alias called /squirrelmail that points to SquirrelMail's installation directory /usr/share/squirrelmail. #  you're unsure, as this example might not work everywhere. 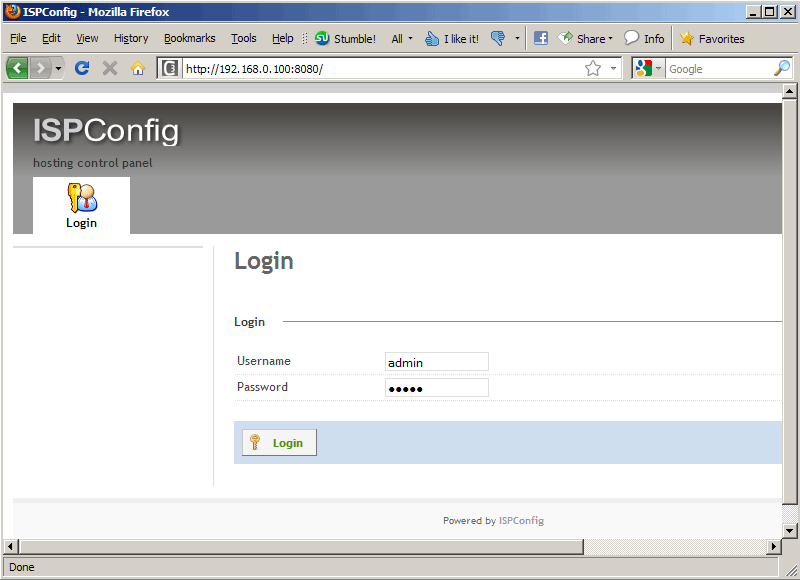 Make sure you replace 1.2.3.4 with the correct IP address of your server. Of course, there must be a DNS record for webmail.example.com that points to the IP address that you use in the vhost configuration. 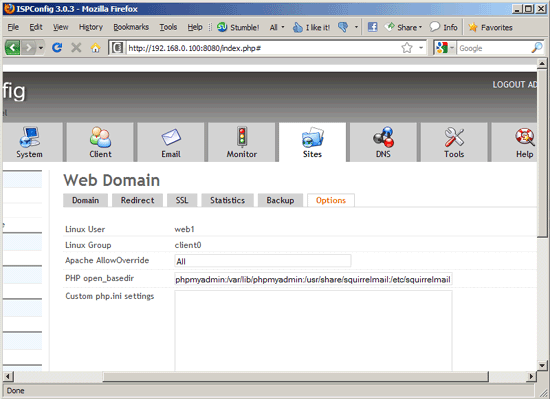 Also make sure that the vhost webmail.example.com does not exist in ISPConfig (otherwise both vhosts will interfere with each other!). 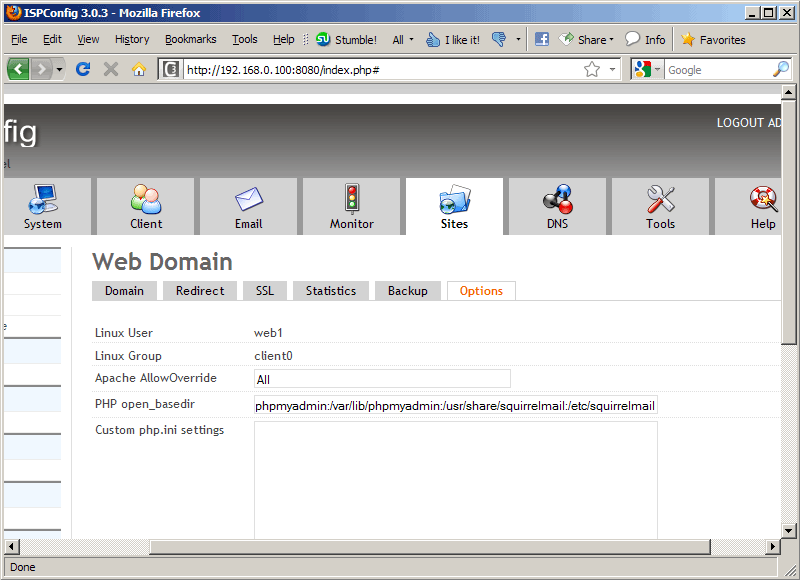 ... and you can access SquirrelMail under http://webmail.example.com! U should open ports on router. "We must tell SquirrelMail that we are using Courier-IMAP/-POP3: "
But we must select "Dovecot" and 2 times? Thanks in advance for this tutorial, it's excellent. I made it using VirtualBox, so is it necessary make the 19.1 step? how can i change or renew the SSL certificate that was made with the isp config installation?